I see (W. Wertelecki, M.D.) synophris (midline fusion of eyebrows). Frida Kahlo is world famous and there is no doubt of her high intellect. This sign may be a signal observed in dysmorphic patients – for example – Cornelia de Lange. This is an excellent example of the relativity and questionable reliance on statistical criteria to define “dysmorphic” vs “variant”. The presumption if that the statistician knows the frequency of a sign in a given population considered “normal”. That is not so! We may know much about dysmorphic patients but we know much less about population ethnic characteristics. 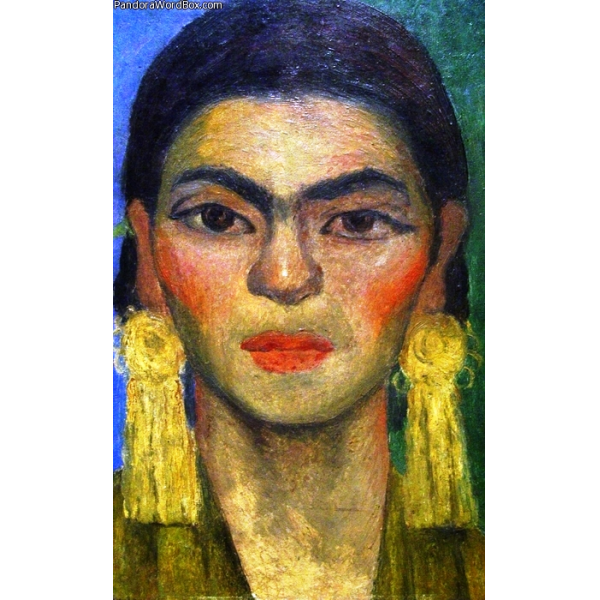 In fact, many populations incorporate a variety of ethnic subgroups (for example in Mexico, admixtures of native Americans with Europeans – How much does Frida belong to one or the other ethnicity?). 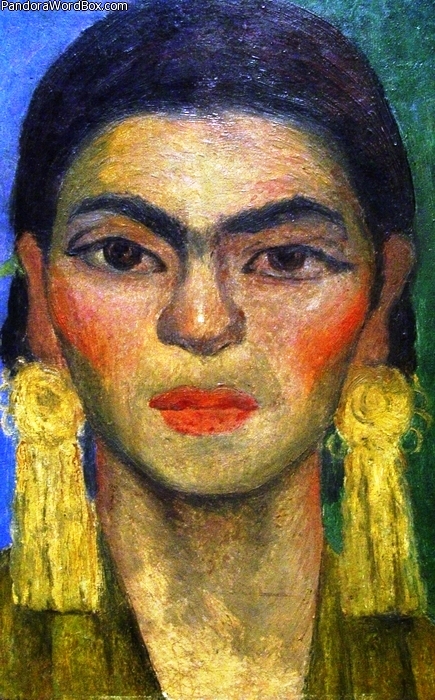 To extend this argument, we know that Frida is “normal” and from that fact and not statistics we can conclude that her synophris is not “clinically informative” – To what extent such may be a variant would require a population study of her relatives to determine the expected frequency of synophris. In short, as a clinical geneticist I consider such theorizing of little practical relevance. P.S. Some sources suggest that Frida had “spina bifida” but her childhood history questions such assertions. See the source and further comments in Pandora Word Box.